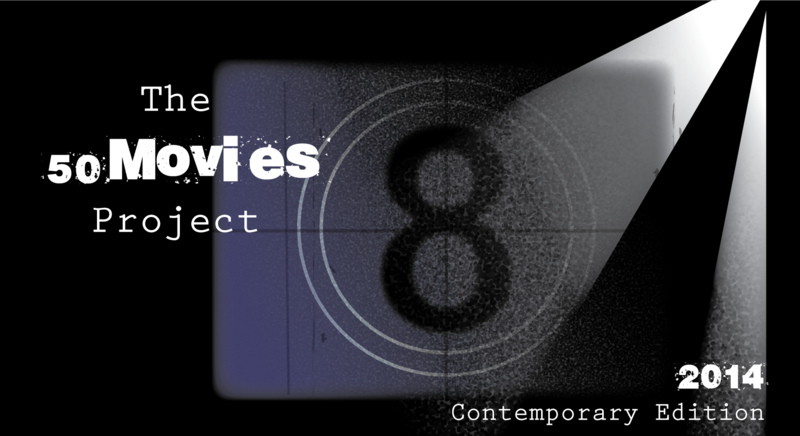 I’m always a sucker for “truth is stranger than fiction” narratives, which is why I made Catch Me If You Can one of my first selections from this year’s project. An imposter movie with Leonardo DiCaprio, Tom Hanks, Christopher Walken, a possibly rejuvenated Steven Spielberg… it has all the ingredients for a fun, memorable adventure. For the most part it works, but it doesn’t quite reach the levels it could have. The story, set in the 1960s, is certainly interesting enough. DiCaprio plays a fresh-faced teen named Frank Abagnale, a con man who manages to pose as a pilot, doctor and lawyer all while earning himself millions of dollars by the age of 19. Tom Hanks is Carl Hanratty, an FBI bank fraud agent who catches onto Frank’s scheme and pursues him endlessly throughout the decade. Both are broken, lonely men who have pushed themselves beyond the point of exhaustion with their cat-and-mouse game. No matter what Hanratty does, Abagnale seems to be one step ahead of him. It’s doubtful that Frank envisioned life as a con man, but his first taste of success pushes him farther and farther down the rabbit hole. If he could impersonate an airline pilot, gain access to their payroll system and even get invited into the cockpit on several flights — with minimal effort, mind you — why stop there? When Hanratty gets hot on his tail, Frank just shifts gears and becomes a doctor, somehow getting himself a supervisor gig at a hospital. 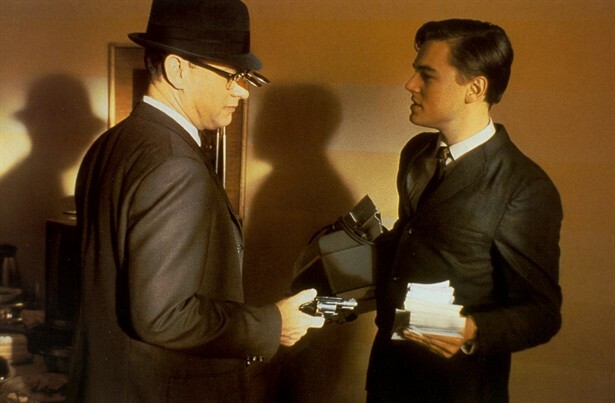 At one point, Frank even pulls a fast one over Hanratty, escaping arrest by claiming to be a member of the Secret Service. Watching Abagnale finagle his way out of tricky situations is always entertaining, though there are several moments that raise questions about just how true his claims really are. In particular, there is a scene near the end of the film in which he somehow manages to escape an airplane as it is landing — it’s as dubious as it sounds. 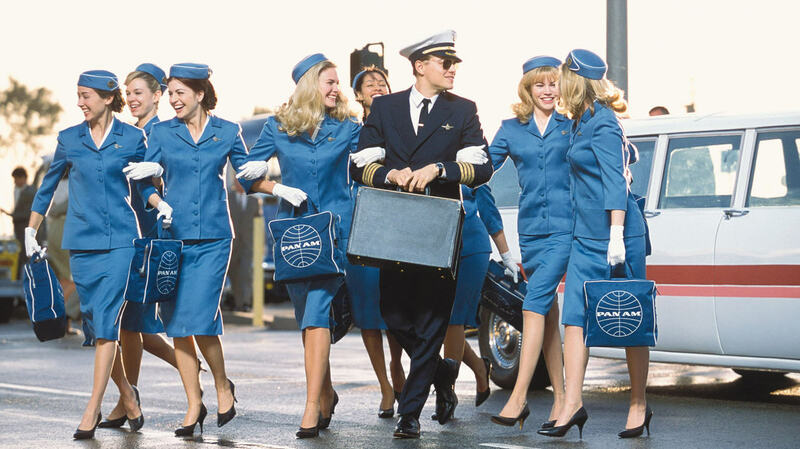 As the film is based mostly on Abagnale’s own stories, it’s reasonable to assume he took some liberties in telling them. Perhaps in the end, he is still conning all of us watching his tale unfold on film. And yet as wild and crazy as this story is, Spielberg never quite lets it reach the next level. The film overall feels safe and never really finds its footing. At times, it comes across as a comical, light-hearted adventure, while other times it gets bogged down by the drama surrounding the two leads. It’s still a fun watch, to be sure, but I can’t help but imagine how this would play out with an edgier filmmaker. At the very least, the film does have a stellar cast to fall back on. DiCaprio and Hanks, though neither are at their best, are both effortlessly compelling, and they make for a memorable duo. Amy Adams, in one of her earliest roles, is a real highlight, playing the sweet and naive love interest of Abagnale. Christopher Walken is also terrific as Frank’s father who has issues of his own with the IRS. 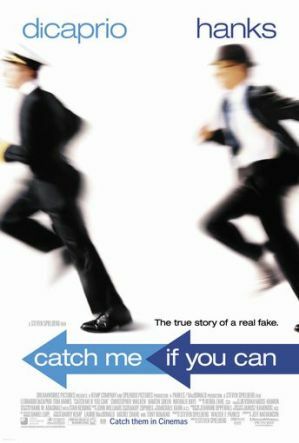 Even with its flaws, Catch Me If You Can is a likable film that manages to make its extended running time feel shorter than it truly is. It’s not the best film from anyone involved, but it’s fine for what it is. I’m always happy to see Walken in any film, and he was used perfectly in this. Great performance. Leo is amazing here, but it’s Spielberg who is really the star of the show. He never loses us for a single second and always seems to be making this story more and more exciting as it goes along. Especially even if we already know the outcome going in. Good review Eric. I was kind of underwhelmed by Spielberg’s work in this, but it’s hard to mess up a story like this while backed by such a tremendous cast. Great film, really enjoyed your review. Superb write up man. I do have to say I would probably rank this a touch higher, maybe the 8/10 for me just because the thrill of the chase makes this movie so much fun. But I would agree there are several plot conveniences (like him escaping from the plane that literally just touched down) and a few elements of the story go underdeveloped for too long. These issues were never enough for me to really notice at the time but upon reflection, I see them. Not a perfect movie but we’re in agreement: it’s fine for what it is. Thanks, Tom. Yeah, this was a fine film overall, even if it isn’t one of Spielberg’s best. A good film, but maybe not a great one. This movie is superb. It is incredible how this criminal got away with almost everything, until at the very end the FBI got him. And he even got a job working for the FBI afterward… I wouldn’t have believed it if I didn’t know any better. I agree, it’s a nice and entertaining diversion, but I also wished there was something “more” to it. Maybe in the hands of a different director or if the material were handled by different writers there could have been more suspense as well as a greater “in” to the characters. I also didn’t like the trite Spielbergian elements. I think your score’s about right. Glad to hear I’m not alone on this one. I enjoyed the film overall, but yeah, it had the potential to be even better. Kudos to Spielberg for making a modern quintessential “1960s film”! Credits, soundtrack. ostumes, sets and props have the look and feel of the time. Especially the old Standard manual typewriters. Overblown “fancy restaurant” scenes with Mr. Walken. And monstrous European printing presses. Outside of Mr. Hanks’ strained “Baston accent” fading in and out. An all around worthwhile film. Leonaldo DiCaprio looks and acts like a kid who never grew up. In a film that works well, Is a little too “cute” in some places. And falls just short of greatness. Hey Jack, completely agree on all fronts. I loved the style of the opening credits and the overall attention to detail. But you’re right — a good film that doesn’t quite hit greatness. John Williams score is jazz infused sixties perfection and the title sequence is terrific. Agreed. Williams’ score was a nice touch. Worked perfectly for what the film was going for. Nice review here. I agree that this isn’t the best film for anyone involved, but man, it’s just so much damn fun. I absolutely adore it. It’s amazing to consider Leo’s performance here against his work in GoNY. The films were released mere weeks apart, but he is completely different in them. Thanks man. That’s a great point about Leo. Dude can seemingly pull off anything, and he just keeps getting better. Nice review! I really liked the movie, it was very entertaining and I love the performances but Walken’s work was definitely my favorite here. Thanks! Agreed on Walken — he was in top form in this. Hey, great review! I agree with you that the movie may feel somewhat safe (actually I think most Spielberg movies also feel this way), although that didn’t stop me from enjoying it! Thanks! Yeah, I think that’s a common trait for Spielberg in general. Sometimes I wish he would step out of his comfort zone a little more, but there’s no denying the man has made some great movies over the years. “It’s not the best film … but fine for what it is”? Yup. About the perfect summary. I also loved Adams in this one. Thanks man. I appreciate you taking the time to read/comment, too.